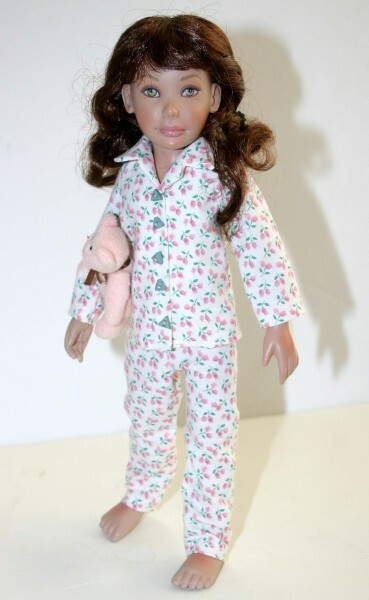 Up for consideration is a pattern called "Slumber Party" for 11" Leeann Dolls. 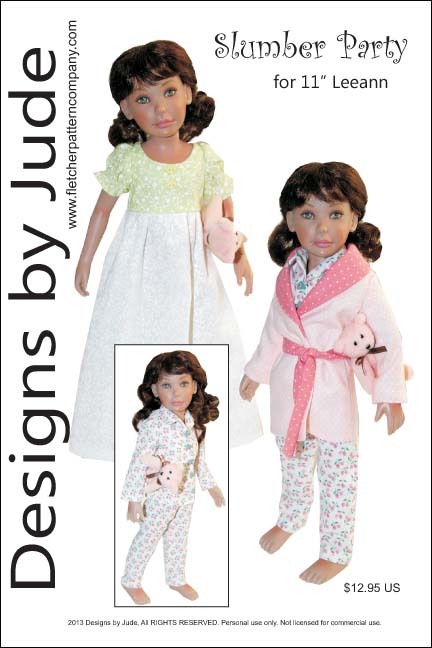 The pattern features a floor length nightgown, long sleeve pajamas and a lined robe. 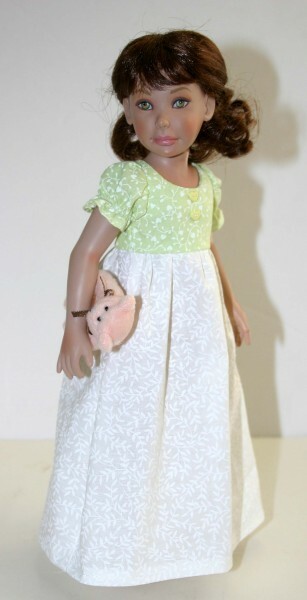 This design is also available for 12" Bethany, 14" Kish and Marley Wentworth, 10" Patsy & Ann Estelle, 12" Senson, Ellowyne and Nancy Drew dolls. The pdf version of this pattern prints on 8 1/2 x 14 legal size paper.